Atlas™ is Hemisphere GNSS’s new L-Band GNSS correction service, offering an innovative service that provides performance that meets or exceeds that delivered by other industry leaders, at market-leading prices. Atlas L-Band service is the most flexible service on the market, delivering its correction signals via L-Band satellites or over the Internet at accuracy ranging from sub metre to sub-decimeter levels. With approximately 200 reference stations worldwide and L-Band satellites distributing coverage from 75°N to 75°S to ensure all of the earth’s landmass is covered. There are 3 subscription levels - H10 gives approx. 10 cm accuracy. H30 gives 30cm accuracy and the Atlas basic gives 0.5m accuracy which is much the same accuracy when using the AMSA marine beacon. Please ring for a cost on the Atlas service. 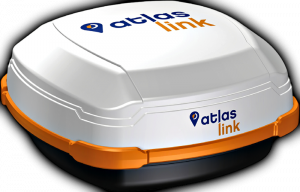 The Atlas subscription supports the below Hemisphere GNSS receivers. The Atlas Link, the R330 and the S321. The Hemisphere S321 is a multi-GNSS, multi-frequency all on the pole receiver. The S321 provides a robust field performance and high precision in a compact and rugged package. 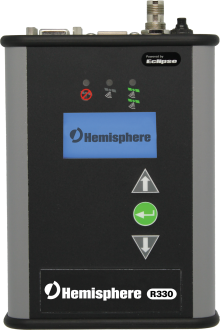 With multiple wireless communications ports and an open GNSS interface, the S321 can be used in a variety of operating modes. As a Network only bundled package (No internal UHF radio installed) - $7,000 exGST. With the UHF bundled kit (radio module installed with UHF antenna) - $8,500 exGST. The S321 survey bundle includes the following. 6 month’s Atlas H10 Subscription – included with purchase. 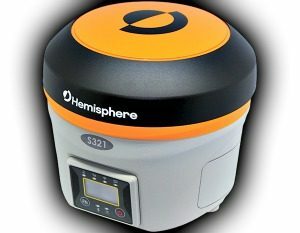 The Hemisphere R330 GNSS receiver provides a full surveying solution product in a compact rugged enclosure. It has a front screen to display information and buttons to configure the receiver without the need for a data controller. It receives the USA’s GPS, the Russian GLONASS, and China’s BeiDou satellite constellations. It can provide 1cm accurate positioning when in RTK mode and can even receive the free to air marine beacon signal to achieve 0.3m accuracy. The R330 GNSS receiver works well in any marine or land application where positioning accuracy is required. The base unit is configured with L1, 10 Hz, SBAS, and raw data. The fully upgraded unit can be optionally subscribed to L1/L2 GNSS, 20 Hz, RTK, L-Band, Marine Beacon, and SBAS. Compatible GNSS antennas for the R330 are A21, A31, A42, A43, A45 and the Geodetic A52. The Atlas Link is Hemisphere's GNSS Smart Antenna which uses the 3 main satellite constellations USA's GPS, Russia's 'GLONASS' and China's 'BeiDou'. An approximate cost for this receiver is $3,750 exGST.